Emirates, the largest international airline in the world, will start a third daily service between Moscow’s Domodedovo (DME) Airport and Dubai, commencing on 25th October 2018. Emirates has been serving the Russian market since 1st July 2003 and already flies twice daily to Domodedovo on Airbus A380 and Boeing 777-300ER and daily to St Petersburg (LED). Demand for travel has grown significantly over recent years, leading to the airline’s launch of this third flight to Moscow. The new service will be operated by an Emirates Boeing 777-300ER in a three class cabin configuration, with eight private suites in First Class, 42 lie-flat seats in Business Class and 310 spacious seats in Economy. This service will cater for leisure and business passengers, providing daily links for international tourism and trade opportunities both inbound and outbound. From 25th October, flight EK174 will depart Domodedovo at 1040hrs and arrive in Dubai at 1655hrs, while the return flight EK173 will depart Dubai at 0330hrs and arrive in Moscow at 0750hrs*. The departure time from Moscow and arrival time into Dubai is convenient for Russian travellers visiting Dubai. The new flight allows for seamless connectivity to Moscow from several popular destinations in Emirates’ and flydubai’s combined route network, including Bali, Bangkok, Colombo, Hong Kong, Johannesburg, Kathmandu, Kuala Lumpur, Maldives, Mauritius and Singapore. 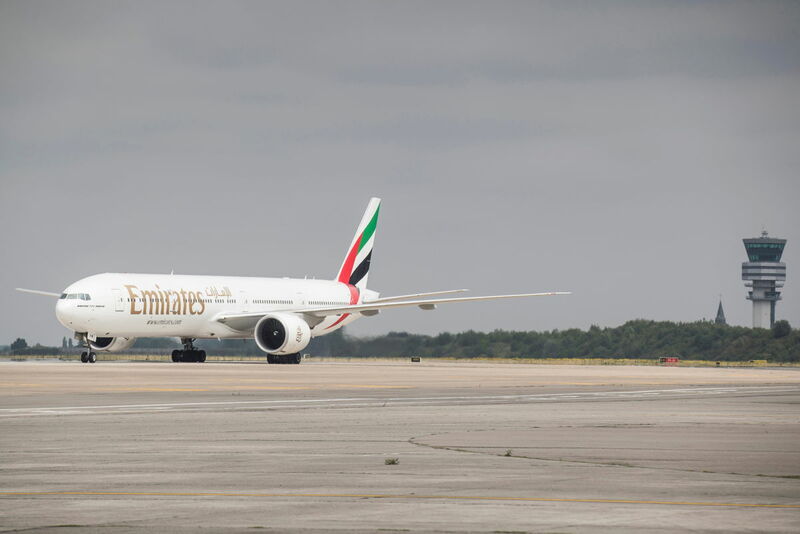 The new Emirates flight from Domodedovo airport is also timed to connect conveniently with a wide network of domestic flights operated by Emirates codeshare partner in Russia - S7 Airlines. Emirates SkyCargo will offer up to 20 tonnes of cargo capacity on the new flight. Cargo carried on the route includes perishables (food products, flowers), pharma, car spare parts for import and food products, aircraft and helicopter spare parts for export. First Class and Business Class customers can take advantage of the complimentary chauffeur drive as well as lounge facilities at Domodedovo. All customers can look forward to award-winning levels of care and comfort when travelling with Emirates, from the warm hospitality of its multinational cabin crew, to being entertained by ice, which offers up to 3,500 channels of on demand audio and visual entertainment from the latest movies to music and games. Customers also enjoy chef-prepared meals and complimentary beverages, while families are well catered for with dedicated products and services for children. Emirates’ commitment to Moscow Domodedovo airport is backed by airport’s investment in improving the infrastructure for the passengers. The new segment of the passenger terminal for international flights is opening in June 2018; multi-level car parking in front of the terminal has just been put in operation adding 1,500 parking spaces and the new runway construction is due to be completed within a few months. On 1st July this year Emirates will mark 15 years of operations to Moscow Domodedovo airport. * There will be a 30 minute advancement of EK173 timing during winter schedule, which begins on 28th October 2018.